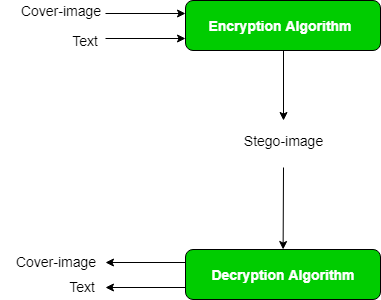 Detection of the message within the cover-image is done by the process of steganalysis . This can be done through comparison with the cover image, histogram plotting, or by noise detection. While efforts are being invested in developing new algorithms with a greater degree of immunity against such attacks, efforts are also being devoted towards improving existing algorithms for steganalysis, to detect exchange of secret information between terrorists or criminal elements.